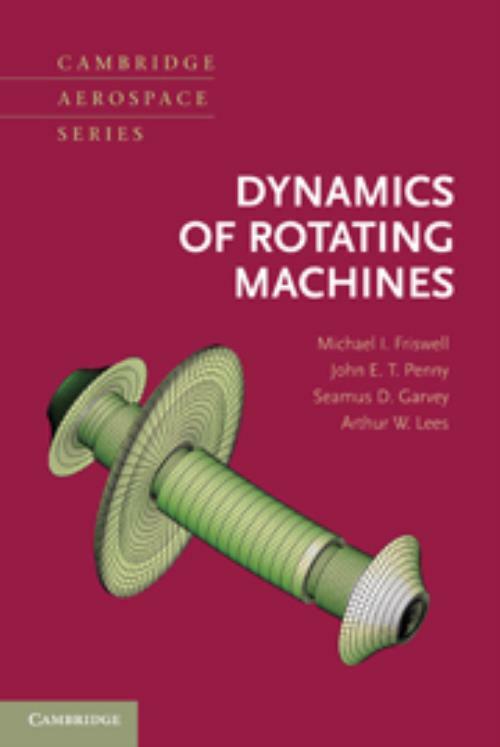 This book equips the reader to understand every important aspect of the dynamics of rotating machines. Will the vibration be large? What influences machine stability? How can the vibration be reduced? Which sorts of rotor vibration are the worst? The book develops this understanding initially using extremely simple models for each phenomenon, in which (at most) four equations capture the behavior. More detailed models are then developed based on finite element analysis, to enable the accurate simulation of the relevant phenomena for real machines. Analysis software (in MATLAB) is associated with this book, and novices to rotordynamics can expect to make good predictions of critical speeds and rotating mode shapes within days. The book is structured more as a learning guide than as a reference tome and provides readers with more than 100 worked examples and more than 100 problems and solutions. 10. More complex rotordynamic models. Michael I. Friswell Swansea University. Professor Michael I. Friswell joined Aston University as a Lecturer in 1987, after five years with the Admiralty Research Establishment in Portland. He moved to Swansea in 1993 and was promoted to a personal chair in 2000. Between 2002 and 2008 he was the Sir George White Professor of Aerospace Engineering at Bristol University, before returning to Swansea in 2009 as Professor of Aerospace Structures. He received an EPSRC Advanced Research Fellowship (1996–2001), a Royal Society-Wolfson Research Merit Award (2002–7), and an EC Marie-Curie Excellence Grant (2005–2008). Professor Friswell has a wide range of research interests, primarily involving rotordynamics and structural dynamics and including inverse methods, condition monitoring, damping, non-linear dynamics, and model reduction methods. Professor Friswell's recent associate editorships include the Journal of Intelligent Material Systems and Structures, Structural Health Monitoring, and the Journal of Vibration and Acoustics. He is a Fellow of the Institute of Mathematics and Its Applications and the Institute of Physics and a Member of the American Society of Mechanical Engineers. John E. T. Penny Aston University. Professor John E. T. Penny, after serving an apprenticeship with the English Electric Co., attended Aston University as a Research Fellow. Later, he was appointed a Lecturer and then a Senior Lecturer and was Head of the Mechanical and Electrical Engineering Department. Professor Penny later became Director of Research at the School of Engineering and Applied Science at Aston University. He has taught bachelor- and master's-level students in vibration and rotordynamics and related topics such as numerical analysis, instrumentation, and so on. His research interests include topics in structural dynamics and rotordynamics. He has published in journals such as the Journal of Sound and Vibration, Mechanical Systems and Signal Processing, and IAA Journal. He is now an Emeritus Professor at Aston University but is still teaching and doing research. Professor Penny is a Fellow of the Institute of Mathematics and Its Applications. Seamus D. Garvey University of Nottingham. Professor Seamus D. Garvey began his career with six years at GEC Large Electrical Machines Ltd, Rugby, and his first rotordynamics experience was acquired there. When he left the company in 1990 he was Principal Engineer for Mechanical Analysis and had written the computer program used ever since for rotordynamics analysis. He then spent ten years at Aston University, after which he joined the University of Nottingham as a Professor of Dynamics. He remains active in rotordynamics research - especially in the areas of active control and developing control forces through the airgaps of electrical machines - and serves on the organizing committees of both the IFToMM Rotordynamics conference and the IMechE Conference on Vibrations in Rotating Machines. He is currently Director of the Rolls-Royce University Technology Centre in Gas Turbine Transmissions at the University of Nottingham. Professor Garvey is a Fellow of the Institution of Mechanical Engineers and a Member of the Institute of Engineering and Technology. Arthur W. Lees Swansea University. Professor Arthur W. Lees has spent most of his career in the power generation industry. After completing his PhD in physics, he joined the Central Electricity Generating Board, initially developing FE codes then later resolving plant problems. After a sequence of positions he was appointed head of the Turbine Group for Nuclear Electric Plc. He moved to Swansea University in 1995, where his position was jointly funded by British Energy Plc and BNFL until August 2000. He was then appointed to a permanent chair within Swansea University. He is a regular reviewer of many technical journals and is currently on the editorial boards of the Journal of Sound and Vibration and Communications on Numerical Methods in Engineering. His research interests include structural dynamics, rotor dynamics, and heat transfer. Professor Lees is a Fellow of the Institution of Mechanical Engineers and a Fellow of the Institute of Physics.